Not everybody can be in Boston for New Years, so for this I apologize. In addition to the fun First Night stuff (Part I - Part II) there are also live shows going on. I have friendships with a number of notable musicians playing fine establishments all over the city - there are tons of alternatives. So when I write about tonight's rock showcase at Church of Boston - just know that I am with all of you in spirit at least. We'll haul an ale soon! For the unacquainted the 3 bands here are well worth your time. If you can't be at the show, just take a minute to check out the music. Rock your New Years! LADIES OF APPLE BETTY WILL BREAK YOUR HEART - Apple Betty's brand of dissonant, punk-keyed rock is saucy good fun. The key to Slide Song, is the gorgeous harmonies just rising above the din of the slide guitar. There's a ton to like about the band's spirited assault on audiences - we will be looking forward to a big year from them in 2011. 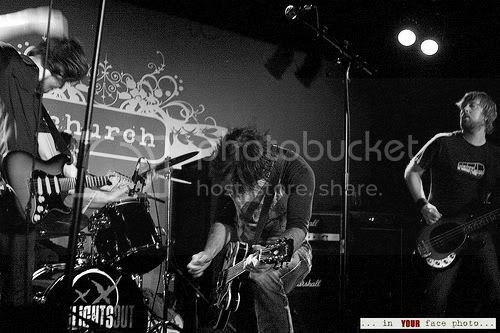 YEAR IN, YEAR OUT - THE LIGHTS OUT have found themselves in the top tier (say the top 5 live rock bands in New England). Devoted to their art, improving with each new release (2008 - EP: Heist! 2009 - LP: Color Machine 2010 - EP: Rock Pony 2011 - LP: Primetime out in January) The Lights Out have found them at the core of the scene. There's value to that longevity. Better than ever, this is the perfect band to listen to when you just let yourself go. 2011 promises to be the rock band's best year to date. THE UPPER CRUST CELEBRATE ANOTHER YEAR - It's hard to speak in superlatives worthy of a band that always knew it was the best. 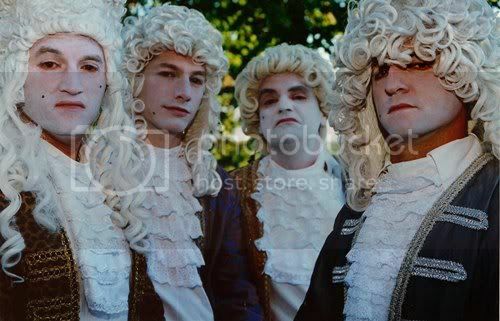 For the unfamiliar, The Upper Crust have earned their legendary status here in New England for flamboyant in your face "artistocrat" rock some time ago. The fact that they continue to play periodic live shows for the peasants. Important for their place in costumed history and their continued relevance through three generations of rock audiences in Boston - their performance this evening is predicted to seal their place in Rock History.